STORY: An Indian rescue mission seemingly tailor-made for Virat Kohli instead fell to Cheteshwar Pujara who took his captain’s ‘Superman’ cape and struck a vital century to save the tourists on day one of the series-opening test against Australia. 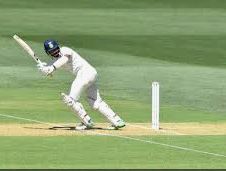 After Kohli was swept away for just three runs in a maelstrom of dismal shot-making, Pujara carved out a sparkling 123 to guide India to 250 for nine at stumps on a scorching hot day at Adelaide Oval on Thursday (December 06). Australian fast bowler Mitchell Starc also heaped praises for Pujara who survived the host’s pace onslaught in the first two sessions. The pace trio of Starc, Josh Hazlewood and Pat Cummins rattled the Indian top order and claimed two wickets each. Spinner Nathan Lyon also struck twice for the hosts. “If you said we’d be 250 for nine after losing the toss … I think we’d bite your arm off,” said Starc.